While there are so many options to choose from among crossover SUVs available in Miami these days, the 2017 Toyota RAV4 continues to remain a top pick among drivers all the way from Fort Lauderdale to Hollywood thanks to its solid reputation, practical design, and capable performance. With five different trims available in this lineup, there’s sure to be a right RAV4 for you. 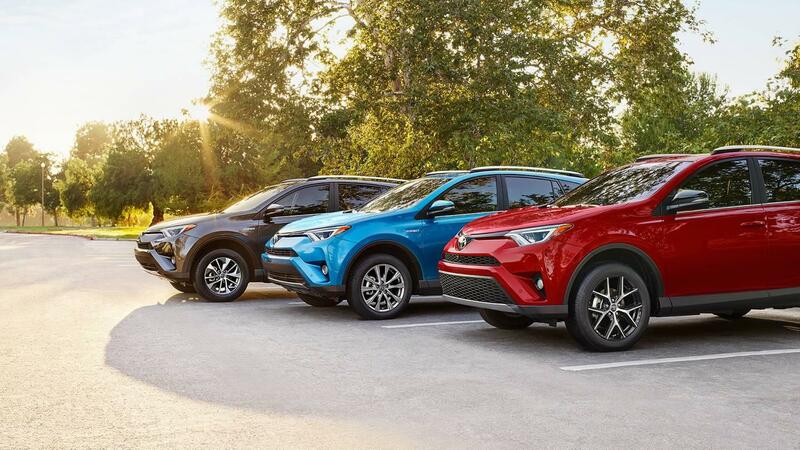 Discover which new Toyota RAV4 model best meets your needs with a little help from Toyota of North Miami! The first trim in the RAV4 lineup features the Toyota Safety Sense™ P package, the Entune™ Audio multimedia system, and available AWD with Dynamic Torque Control. Step up to the second trim to get the comfort of dual-zone automatic climate control and the advanced Entune™ Premium Audio with Navigation and App Suite. The SE puts the focus on performance with a sporty suspension, paddle shifters, and a sport shift lever, as well as doorsill protectors and floor mats. The penultimate trim brings you SofTex® leatherette upholstery, as well as the option of a Premium JBL® sound system. For Miami drivers who simply demand the most from their vehicle, the Toyota RAV4 Platinum trim is sure to meet and exceed expectations. This trim comes with a foot-activated power liftgate, a 5-door Smart Key System, a Bird’s Eye View Camera for added visibility, and style accents like platinum doorsill protectors and full-body color exterior.Regardless of which trim you choose, though, the RAV4 is an excellent performer, with all trims in the lineup powered by a 2.5L inline-four engine that’s offered with front-wheel and all-wheel drive. Eco-conscious drivers will appreciate being able to get up to an EPA-estimated 30 mpg highway and 23 mpg city with this setup, and Miami families will enjoy the RAV4’s interior which includes spacious seating for up to five adults and plenty of room for cargo. Come to Toyota of North Miami, and check out our selection of new RAV4 SUVs today! We’re located at 16600 NW 2nd Ave in Miami, FL, just a short trip from Hollywood and Fort Lauderdale. If you have questions, feel free to contact us at (305) 974-1103.